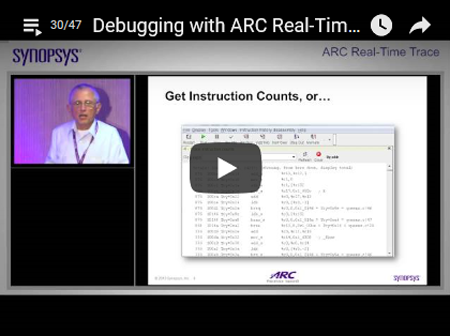 Debug Tools for Synopsys DesignWare® ARC® RISC Processors. 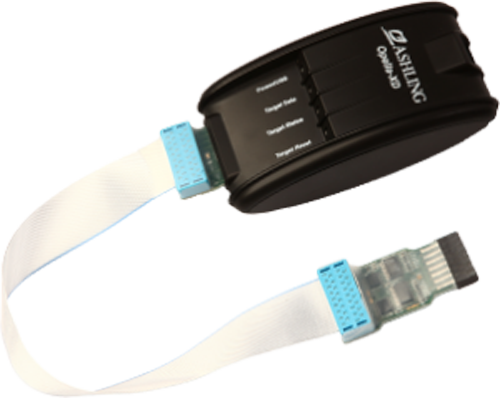 Ashling provides a range of hardware debug probes which support both JTAG Debug and Real-time Trace and are integrated into the MetaWare and GNU ARC Toolchains. In this video you can watch Tom Pennello, Principal R&D Engineer at Synopsys explain how to use Ultra-XD for Trace Capture, Trace Filtering, Program Profiling and Trace Replay for single and multi-core based systems. ©2015 Synopsys, Inc. All rights reserved. Ashling’s Ultra-XD is a high-performance real-time trace probe for embedded development and debug on Synopsys’ DesignWare ARC EM and HS processors. Developed in cooperation with Synopsys, the Ultra-XD probe integrates with the MetaWare Debugger and IDE (MDB and MIDE) under Windows or Linux based hosts. RTT support for Synopsys’ DesignWare ARC EM and HS processors.